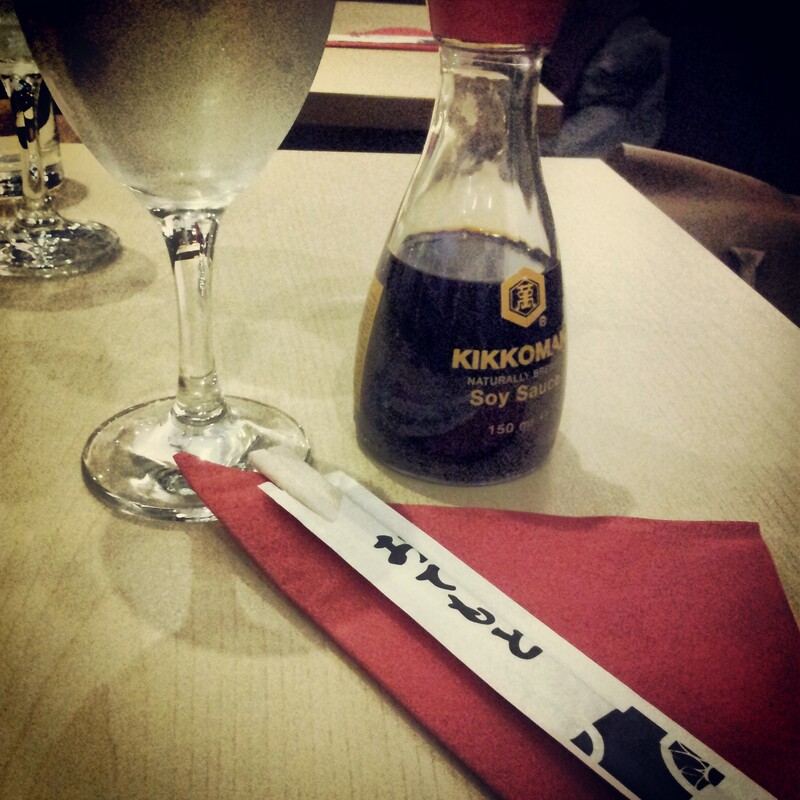 Bonsai is one of my favourite places for sushi in Edinburgh. I’ll be honest and say I haven’t been to Japan so I’ve no idea how authentic the sushi is… so my only tool with which to judge is a comparison to other sushi restaurants in the UK! Anyways, after a trip to the Broughton Street Bonsai this past week, here are a few dishes I recommend. Rainbow Gaijin-zushi, large inside out sushi rolls. 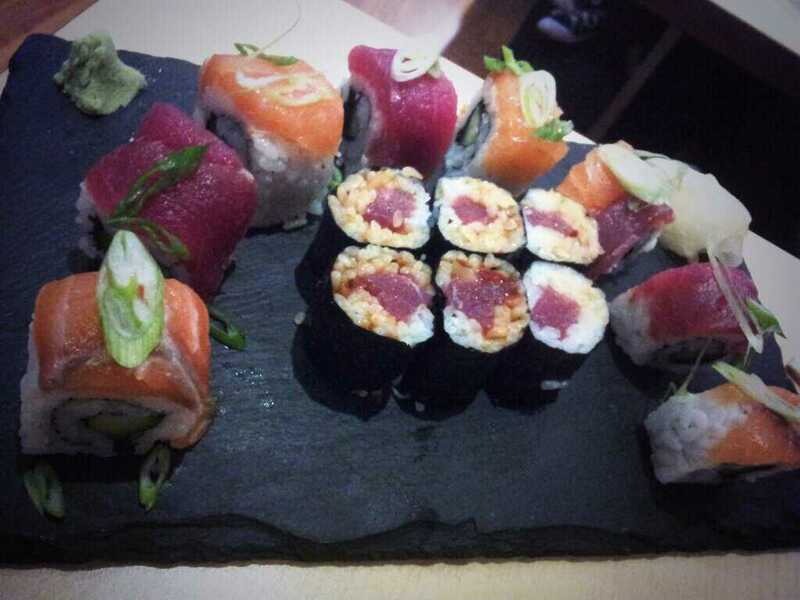 We went for rainbow rolls which have salmon, tuna and cucumber. Dragon rolls with prawn tempura and avocado are also yummy. The smaller rolls are maki-zushi, traditional sushi rolls filled with spicy tuna. These had a real kick so only try these if you like a bit of spice. 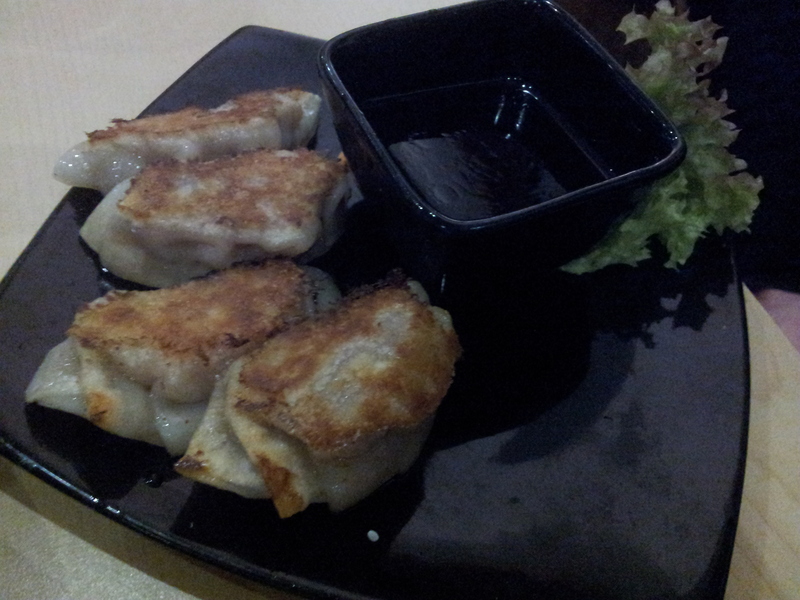 These are called teppanyaki gyoza – little dumplings cooked on a traditional Japanese griddle. These are filled with pork and come with a soy and chilli dip. You and go for vegetarian options but I think pork dumplings win every time. 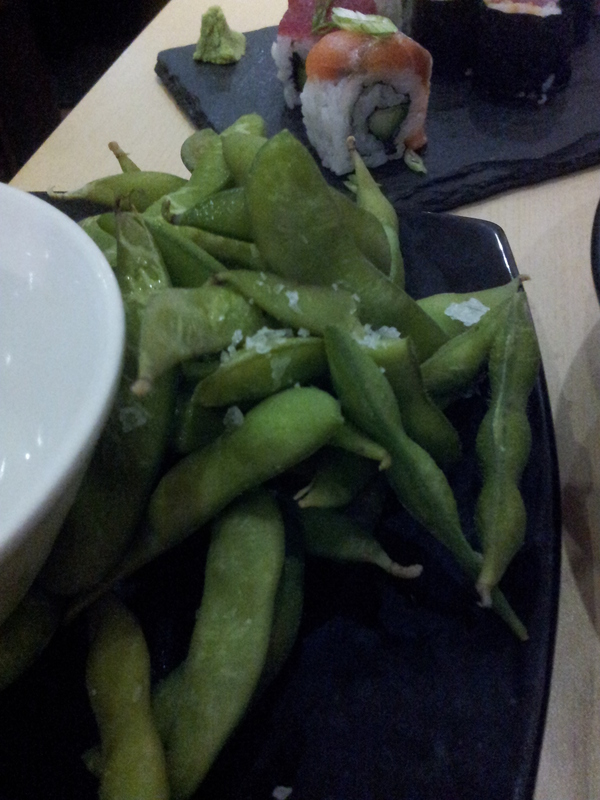 I can’t enjoy sushi without some tempura and edamame. 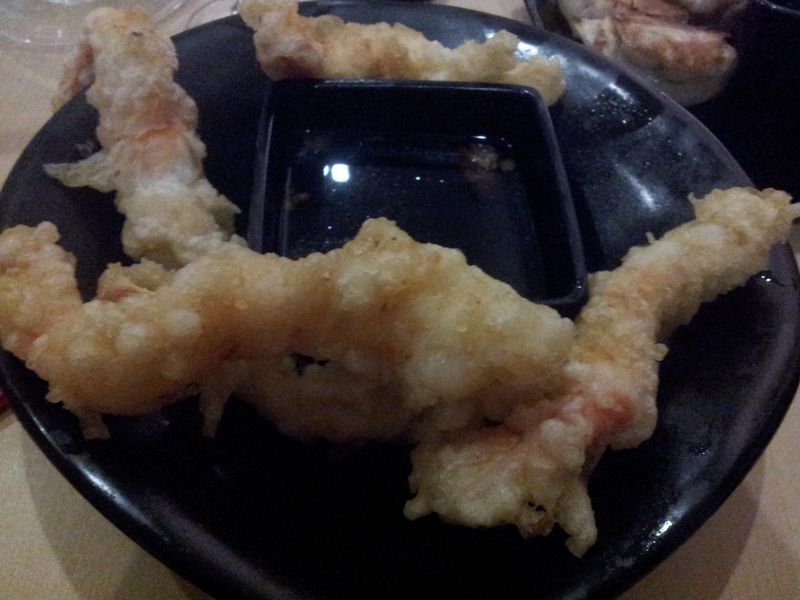 The prawn tempura at Bonsai is always really light and crispy, and really juicy, large prawns to boot. Sushi can seem an expensive option for eating out. These five dishes and a bottle of wine between two came in at £25pp and I’d happily say the volume of food was equivalent to a starter and a main course. 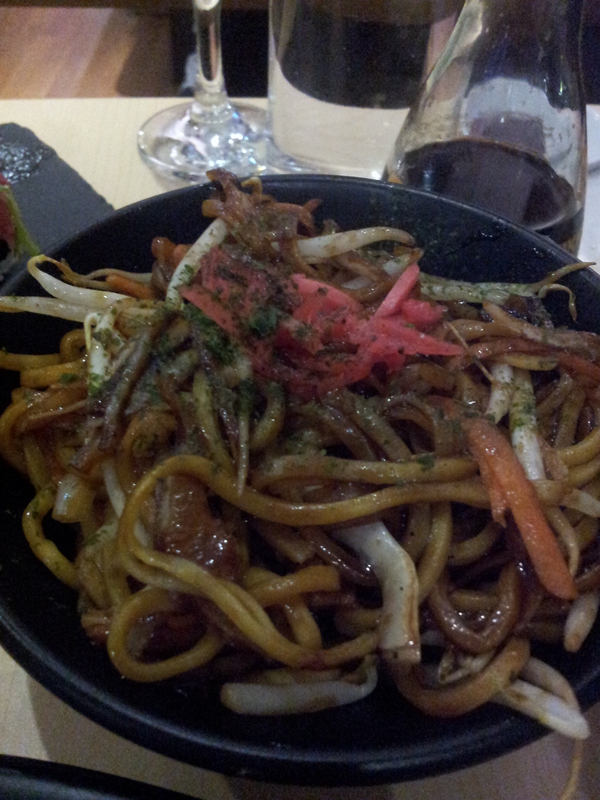 My sushi appetite is probably quite safe, but its all yummy nonetheless! I am always keen to investigate new sushi haunts and of course keen to learn of the more authentic places in town from those in the know. If you can recommend anywhere please do leave a comment or tweet me your thoughts.